This two bedroom, two bath, DOG-FRIENDLY house offers great views over Marine Terrace. VERY private HOT TUB. A stones throw from one of the trailheads of the Fiscalini Ranch, with great hiking and biking trails. High Speed Internet. High Season Monthly Rate is in the $5,000 range, but please call our office at for a specific quote for the time of year you wish to come. Spent three nights here with family and our two dogs. Home is in great condition and is nicely outfitted. Two bikes could use some lube but were a fun addition. Not walking distance to town but not a real issue. Located right next to a nature preserve on bluff with multiple trails to walk and exercise the dogs. Would definitely stay here again. This was our 5th or 6th visit to this house. The location is perfect and the house is well-maintained. We will be back. Comfy house and amazing view! We had a fantastic little trip to Cambria at the Crows Nest. We have stayed at several Breen properties, all of which had strengths. What we loved best about the Crows Nest is how close it is to the Fiscalini Nature Preserve for amazing walks, easy access to tide pools so close, the incredible view from master suite, nightly stargazing from the hot tub, and cozy puzzle time in front of the fire. House is well equipped with anything you need for time away. (Including a toddler gate that came in handy & also a small lamp in the closet that allowed us to do puzzles in the poorly lit main living area...) PLEASE GET A KING BED for the master suite! (And one that isn't so firm!) There is plenty of room and being scrunched into a too firm queen bed is nearly a deterrent to renting this house. Thanks! The quarters were clean, well stocked with utensils,plates, pots and pans, etc. Jakuzi was great after a long day of walking. Views from bedroom and balcony were amazing! Very comfortable and homey. The Crows Nest was absolutely the perfect spot for a beautiful and relaxing vacation. Check in/check out and communication was very easy. 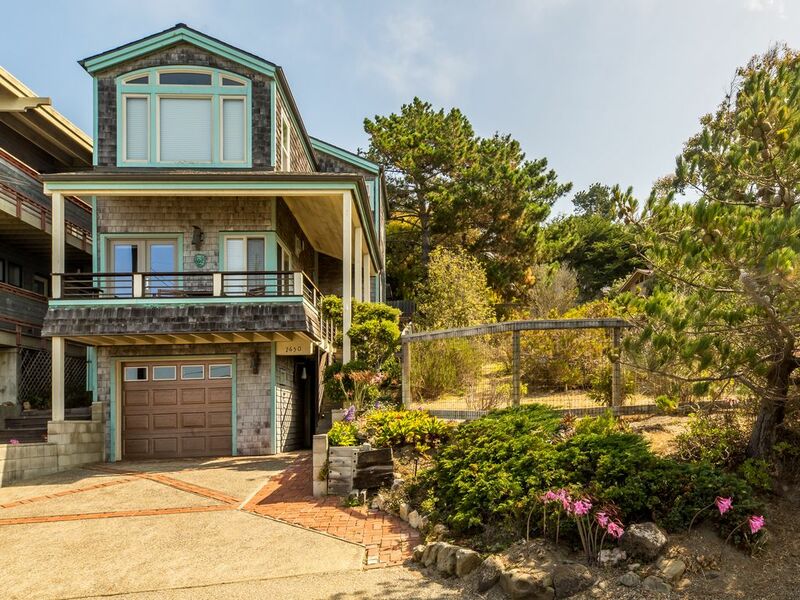 The location of the house could not be better if you are looking for ocean views and easy access to Fiscalini Ranch Preserve. The house was very clean and had everything we needed. We appreciated the fact that they allowed dogs. We will be back for sure!